In the HiPEDS CDT we are committed to providing outreach and public engagement activities. These activities often include partnerships with schools and relationships with industrial partners. The outreach component of the CDT programme allows our students to develop skills to communicate their subject area more widely, as well as engaging the public with their science. 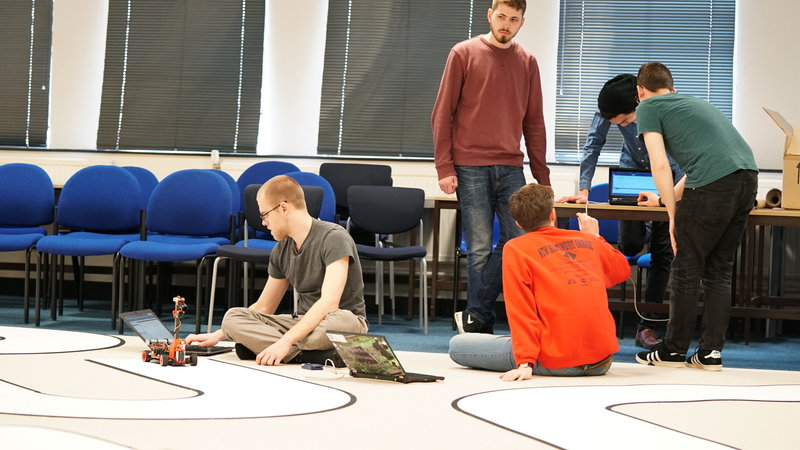 In the first term of their first year, each cohort is required to undertake a team working exercise in the form of a group project. The project is sponsored by a HiPEDS Industrial Partner and has an outreach element. Previous partners have included Microsoft, Dyson, Mathworks and Ocado. 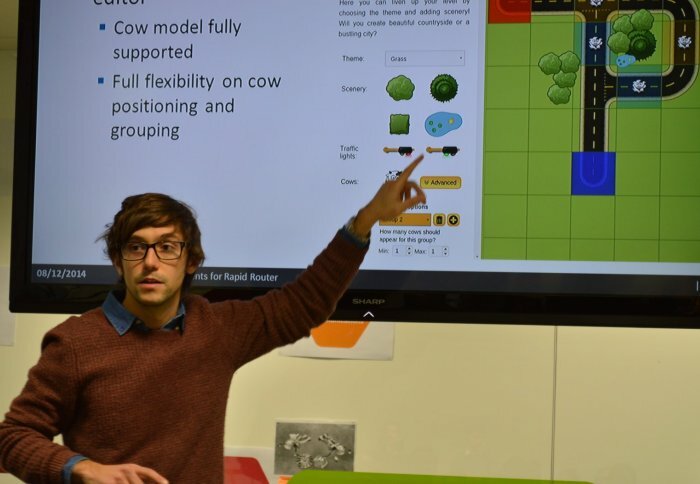 As part of their first year group project, HiPEDS students partnered with Ocado Technology to develop new ways of teaching primary school children basic coding and programming skills. Students are also regularly involved in a variety of other projects, at all stages of their PhD. 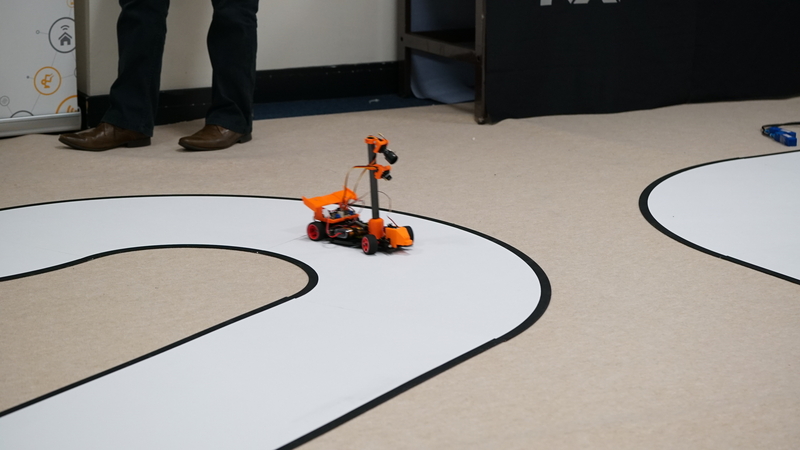 Imperial Outreach hosted the NXP Freescale Cup UK Qualifier event in conjunction with HiPEDS. Having worked on the cars as part of their group project earlier this academic year, our CDT students were able to share their own experiences with the participants over lunch. The NXP Cup is a robotics competition based around an autonomous car which must be programmed to follow a track (the layout of which is not pre-determined) without any intervention. 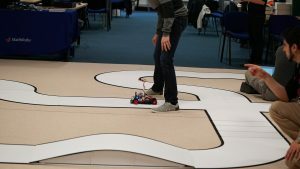 Teams compete from various countries across Europe and the top three from the Imperial qualifier will be competing in the European final in May. We were delighted to be able to invite some Y13 STEM Potential students to watch the final races on Tuesday 5 April 2016 and are hoping to put together a joint undergraduate and school team for next year’s event from Imperial. 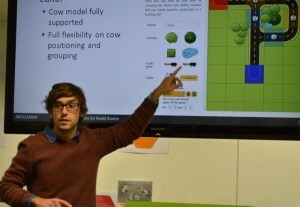 A HiPEDS student has been working with a staff-student collaboration at Imperial, which has developed an engaging way for GCSE maths and science students to consolidate their learning. ‘Breaking Bag’ is a challenge in a backpack based on the escape room model, where participants solve a series of puzzles, building up to a final challenge. 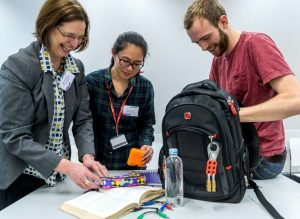 On solving a puzzle, the students obtain a code, which they use to unlock the combination lock of a new compartment of the bag to access the next task. The full story can be read here. A pilot project is underway that will see the creation of teaching resources focused on the needs of schools and teachers. 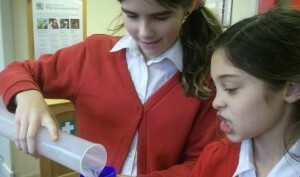 HiPEDS and The Faculty of Engineering have been working with Colchester Royal Grammar School and linked primary schools to develop teaching resources for classroom practitioners and strengthen passion for engineering among young children. The HiPEDS CDT is annually involved in the co-organisation of the CDT Festival of Science. The festival is a chance for CDT students to present a showcase of current research and scientific issues to the research community of Imperial College London. It is also an opportunity for the CDTs to communicate with each other and gain a more detailed understanding of the work that is carried out in each field. Previous themes have included “Criticism & Science” 2015, “Science & Science-Fiction” 2016, “Science and Art – Exploring Creativity” 2017, “Science and Ethics” 2018. Further details about the festival can be found here. The Imperial Festival is an annual two-day science festival where members of the public from across our wide community are invited to experience Imperials research in science, engineering, health and business. A number of HiPEDS students have provided demonstrations for this festival. Further details about the festival can be found here. Creative Quarter is a day of free events, offering 13 to 19-year-old students the chance to explore work in the creative industries and creative careers. The event is organised in collaboration with the V&A, Natural History Museum, Imperial College London, Science Museum, Royal Albert Hall, Royal College of Music, Royal Society of Sculptors, Design Museum and Goethe-Institut. HiPEDS students have been involved in providing demonstrations of the work they do as part of their PhD. Further details about the Creative Quarter can be found here.